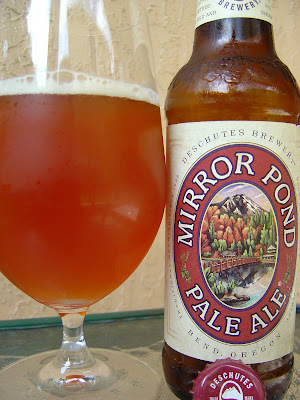 Today I'm drinking Mirror Pond Pale Ale brewed by Deschutes Brewery in Bend, Oregon. This is a repeat from November, 2009, and I really enjoyed it then. This bottle came from my friend Christina in her "care package." 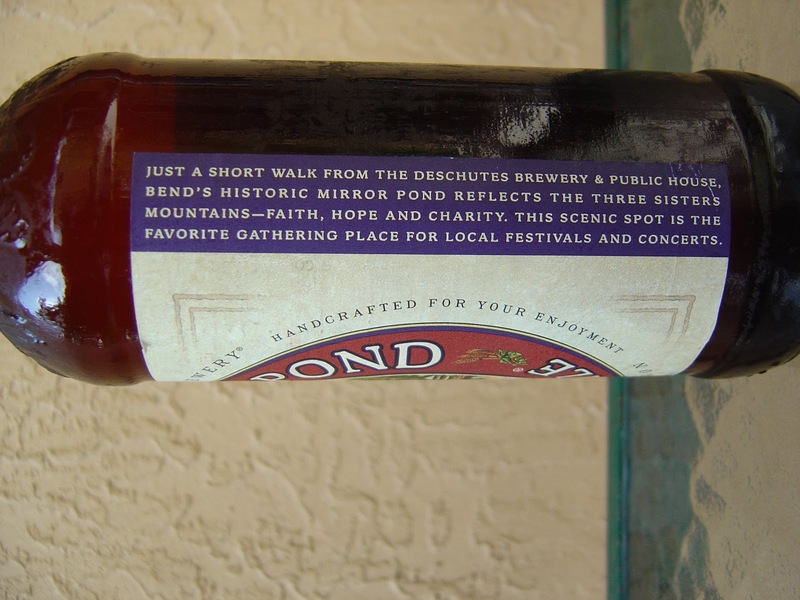 The label depicts a pond with a bridge over it leading to a few homes in the mountains. This beer is named for a historic pond near the brewery. Fruity peach and apple aroma with lightly toasted malty sweetness. Fruity peach followed by some bread flavors. Barely sweet in the beginning. A pleasant hoppy bitterness comes next, accompanied by a touch of spice. Nice balance. Prickly upper level carbonation, crisp, refreshing. The 5.0% alcohol is only noticeable with a dry finish. Flavorful and enjoyable beer. Check it out!